Café and art space Local Edition hosts an installation entitled "Dog Tales" showcasing just some of the animals PETA has helped through its "Kapon/Ligation Immediately, Please" (KLIP) program. The exhibition is on display at the café's Perea branch in Makati and its Serendra branch in Bonifacio Global City through May 24. Visitors to the café can see photos of animals such as Ating, a dog who lives with her indigent guardian in a public cemetery in Pasay. When PETA staffers first met her, she was almost completely hairless because of mange, but her loyal human companion still slept next to her every night. She also had a cancerous tumor that was growing rapidly. Her guardian loves her so much that she cried when Ating had to be taken to the hospital for treatment. But thanks to PETA's care, she's now fully recovered. The group sterilized and vaccinated her, as well as hundreds of other animals living in the cemetery. "Kapon and ligation are the most important actions that we can take to save cats and dogs from the suffering and death caused by overpopulation," says PETA campaigner Jana Sevilla. 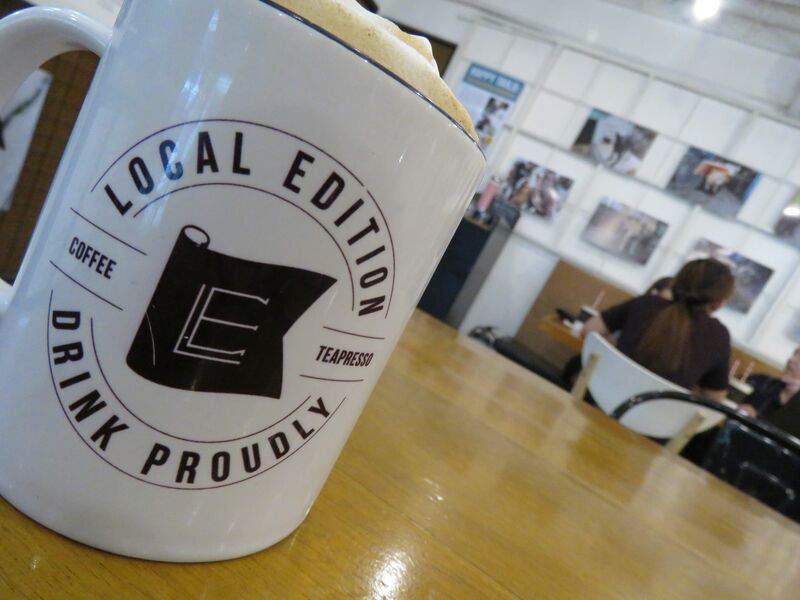 "Thanks to Local Edition, you can enjoy a soy latte while helping PETA prevent thousands of animals from being born only to suffer and struggle to survive on the streets. Your coffee can truly save lives!" Jackie Arceo, co-owner and manager of Local Edition, adds "helping animals is close to my heart and Local Edition is all about collaborating with the community. I believe in what PETA is doing so any way we can help and contribute to a good cause is definitely something we will support." Customers who donate a minimum of PHP300 to the KLIP program will receive a free basic coffee or tea beverage, and with a minimum donation of PHP500, customers will receive a free large beverage of their choice.